Additional uses: Yellow and tan dyes can be obtained from the roots and from the stems and leaves combined. 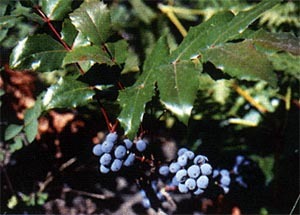 The fruit yields a purplish blue color to wool mordanted with alum (Kowalchik 405). Cautions: Avoid use during pregnancy (Chevallier 177).